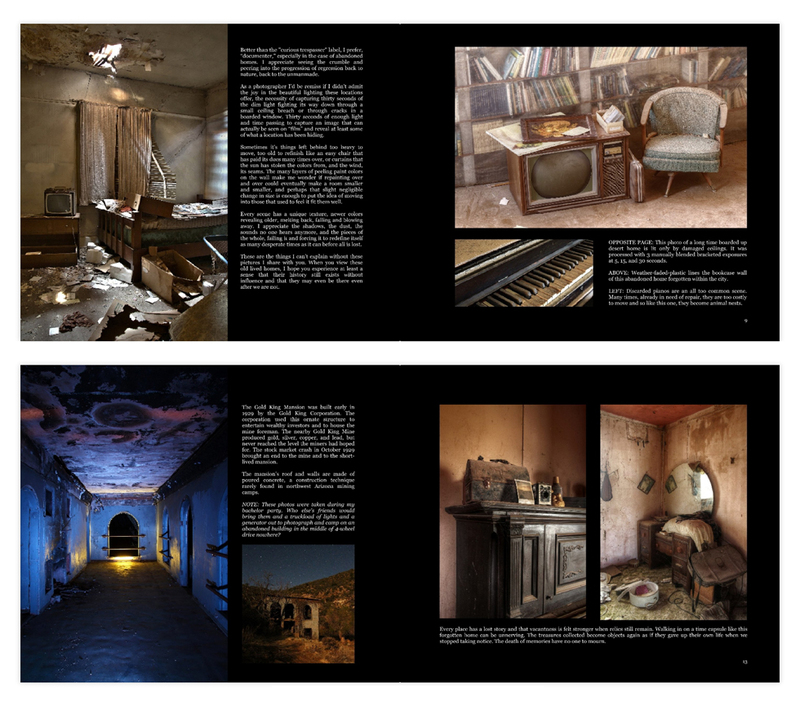 This 42 page 10×8 hardcover book is printed on premium Luster Gloss paper and focuses on historic and abandoned locations throughout Arizona. 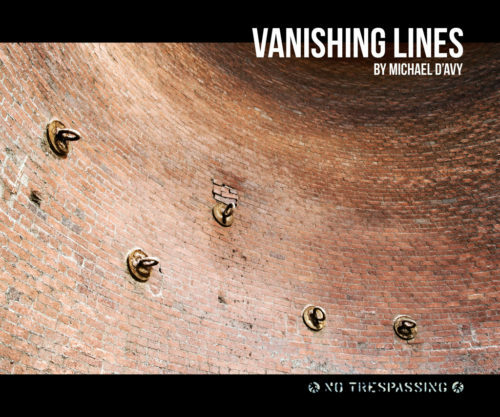 Vanishing Lines is a photographic perspective on hidden infrastructures and forgotten places plus the exploration of a world closer to home. With an adventurous spirit, I invite you to experience and rediscover the hidden and forgotten around us and to view the passage of time on their unraveling. 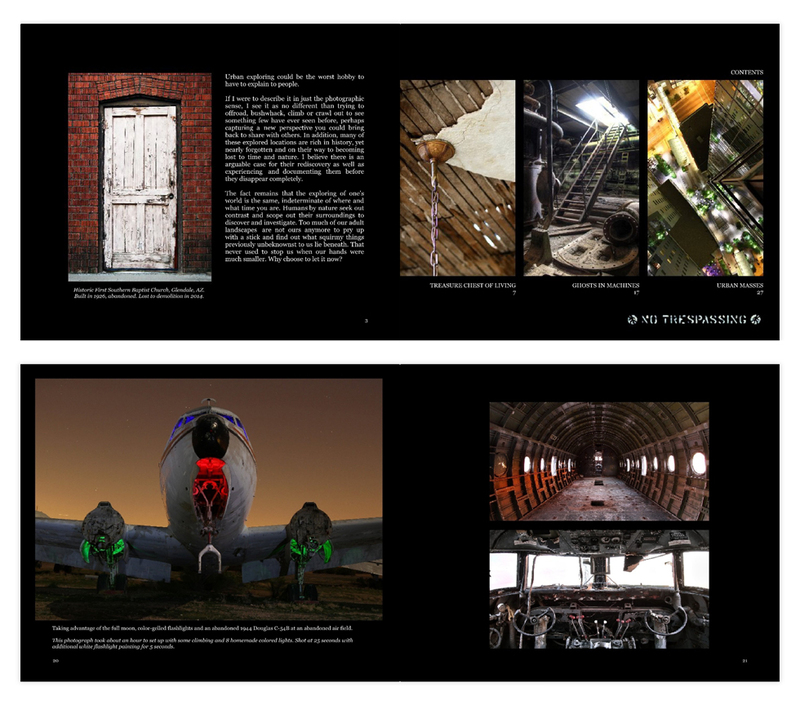 Chapter 1: Treasure Chest of Living. 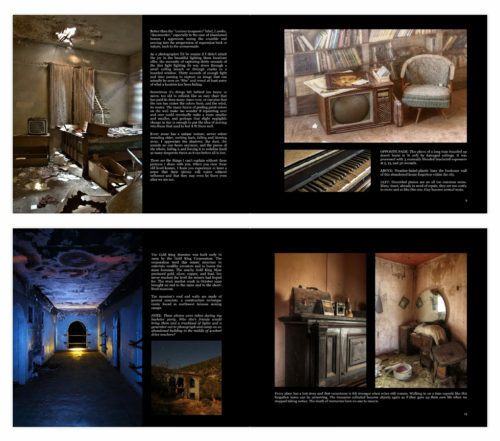 Captures forgotten homestead ruins and left behind treasures to mining mansions. 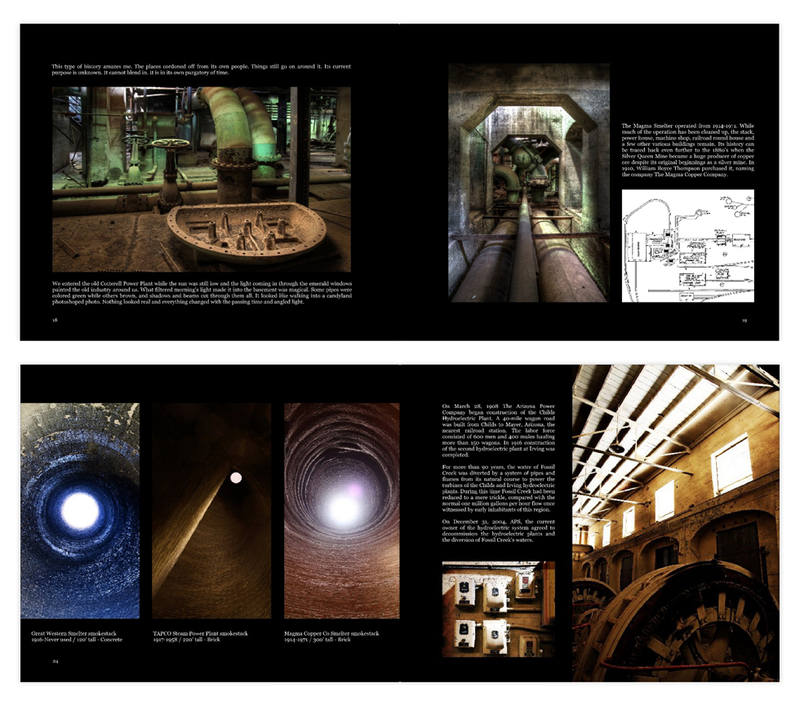 Chapter 2: Ghosts in the Machines. Includes industrial relics embedded with photos and historical information on locations in areas such as Jerome, Superior and the Childs Hydroelectric plant. 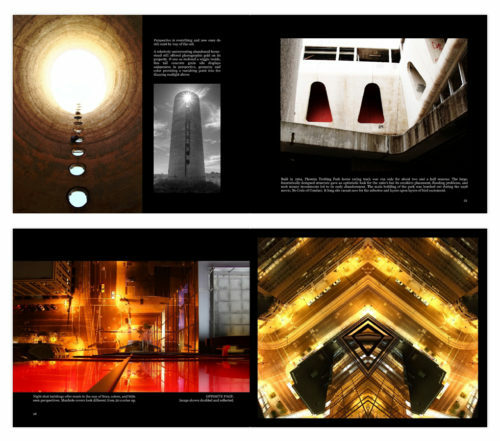 This chapter is comprised mostly of downtown Phoenix areas with an emphasis on seldom seen before perspective photography.